CH2M is a global leader in consulting, design, design-build, operations, and program management. 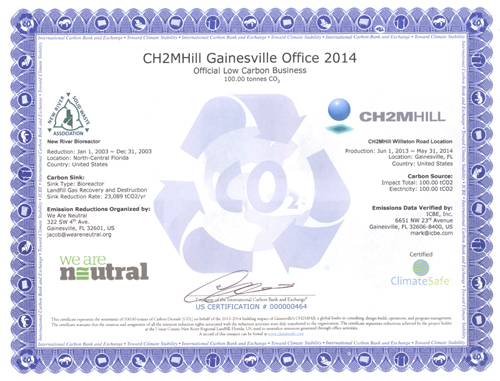 The Gainesville office has for years supported energy efficiency and numerous other infrastructure projects with a focus on sustainability. CH2M uses collective skills and experience to help tackle one of the world’s most important challenges: how to balance limited natural resources with environmental, social and economic priorities. CH2M has more than 18,000 employees in offices worldwide.